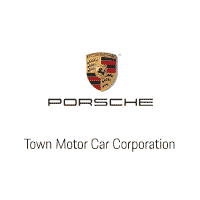 At Town Porsche we are committed to taking customer service to new heights with unique offerings to give you a professional, trouble-free experience. We strive to offer our clients exceptional services such as complimentary pickup and delivery service and loaner vehicles (when available). Does your Porsche need service or an inspection, but you’re unable to bring the car into us? No problem. Let us come to you! Live in NYC? We got you covered. We’ll pick up and drop off to your home, garage, or place of business. With our pickup & delivery service, we will come retrieve the car, perform the service, and return the car. Please note that this service is subject to availability so we highly suggest scheduling in advance. The certified service team at Town Porsche is factory trained, highly skilled, and always ready to help you — even on Saturdays! Conveniently located to serve Porsche owners from New York and New Jersey, our Englewood service center is the smart choice for expert maintenance and repairs that will keep your finely tuned vehicle running like new. Book online or call (201) 816-6085 to schedule an appointment with one of our Porsche service advisers today. Our financing specials, leasing offers, and Porsche Approved Certified Pre-Owned selection already make owning a Porsche much more attainable than you probably think, and our Porsche service center and auto body shop is no different. Whether you need a tow hitch for your Macan, an alignment check on your 911, or an oil change for your Boxster, we are committed to making the process affordable and convenient. Some mechanics turn a wrench for a living, but it’s more than that for us. Our service crew is passionate about maintaining the high standards of Porsche performance. That’s why it’s so easy to trust your car’s care to Town Porsche. With more than a half-century of combined experience among our auto repair shop technicians, we know how to get the best from these precision vehicles. We love working on Porsches, and it shows in the consistently high-quality results we produce. Our auto repair shop crew undergoes rigorous training at Porsche technical centers, where we receive comprehensive instruction on everything from routine maintenance to major overhauls. Town Porsche has invested more than $50,000 in specialized equipment to make sure we have the right tools for the job at hand — whatever it may be. We hold ourselves to the highest standards to ensure that you are as satisfied with your Porsche after 60,000 miles as you were when you drove it off the lot. There is a reason Porsche owners from the Bronx to Rockland and Passaic to right here in Bergen County say “I know where to go” for expert assistance with all things automotive: Since 1983, the team at Town Porsche has made our customers part of the family. Contact us at (201) 816-6085 today to speak with an adviser in our Englewood service center and auto body shop, or make an appointment online.